The local Batteries Plus store here recycles dry cell batteries for $1 per pound. 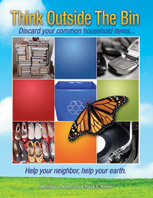 Collect all your single use batteries and find a location near you and drop them off for recycling. 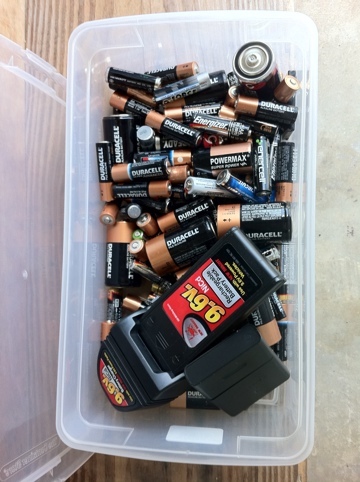 This is a good article about battery recycling from Environmental Health and Safety Online. Check here first to understand all the different types of batteries and how they can be reused or recycled. This entry was posted in Batteries, Think Outside The Bin and tagged Batteries Plus, battery recycling, dry cell battery, Environmental Health and Safety Online, recycle, single use, think outside the bin. Bookmark the permalink.